Sizing John and Might Bite could meet in a sensational renewal of the Betfair Chase at Haydock Park next month, and it's that sparkling Grade One event that is the next National Hunt spectacle to come under our 50-day coundown microscope, as our new series continues to build momentum, as the new Jumps season approaches with pace. A Cheltenham Gold Cup winner versus an RSA Chase winner is a clash all Jumps fans relish, and this year's Betfair Chase could provide that duel on November 25, and with only 50 days to go until the tapes go up, we look at this year's renewal, while we speak to Seamus Durack, who rode Snoopy Loopy to a shock win over Kauto Star in the 2008 renewal of this event. Jessica Harrington's decision to step Sizing John up in trip was an inspired one last season, as the seven-year-old racked up a quartet of Graded wins, with his finest achievement coming on the final day of the Cheltenham Festival, as he stormed to Cheltenham Gold Cup glory in emphatic fashion. Now, with his ability there for all to see, the Irish raider will embark on a journey that could culiminate in a £1m bonus, should he win the Betfair Chase, King George VI Chase and Cheltenham Gold Cup, and Harrington has already set her stall out to emulate the mighty Kauto Star's achievements of landing that chasing trilogy. 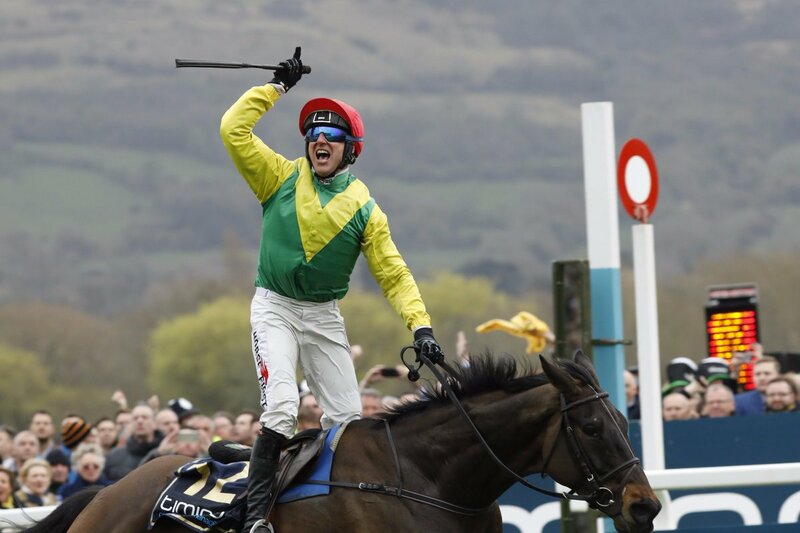 So, the first port of call will be Haydock Park in 50 days, and Sizing John is a 15/8 favourite with Paddy Power to win the Betfair Chase, and having showed tremendous progression last season, it will be no surprise to see him thereabouts in the 2017 renewal, as he aims to kick off his Gold Cup journey with a win. However, Nicky Henderson could be another trainer chasing the £1m bonus dream, and the Seven Barrows handler, who has never trained the winner of the Betfair Chase, could send his RSA Chase hero Might Bite to the north west, as the impressive novice chaser steps into the world of the big boys this season. The mercurial eight-year-old showed his quirks when veering dramatically in the closing stages of the RSA, when well clear, but the manner in which he got back up to beat stablemate Whisper showed he oozes class, and a two-length win over that rival at Aintree enhanced his reputation further. Henderson has already stated that Might Bite's main assignment before the New Year is the King George VI Chase, but he has emphasised that the lure of the bonus could see Might Bite line up in the Betfair Chase, and he is a 5/1 chance with Paddy Power to land the prize. Colin Tizzard's Cue Card trounced Coneygree by 15 lengths in last year's renewal, and could well look to bag his fourth Betfair Chase crown next month, but the 11-year-old, who fell for the second year in a row in the Cheltenham Gold Cup, is potentially vulnerable to the new kids on the block, and is currently available at 8/1 with Paddy Power to land this prize. Nigel Twiston-Davies trained Imperial Commander to victory in 2010, and the Naunton handler may unleash Bristol De Mai, who produced his career best effort at Haydock Park, when bounding to Peter Marsh Handicap Chase glory, and at 8/1 with some firms is an interesting potential runner. Former Cheltenham Gold Cup hero Coneygree missed a whole chunk of last season, but was last seen chasing home Sizing John in the Punchestown Gold Cup, and that pair could lock horns again in the Betfair Chase, while Thistlecrack is hovering around double figures in the latest betting, but the Tizzard team could well bypass this race and look to hand him his first race back from injury in December. The Betfair Chase may have only been running since 2005, but there are some interesting statistics about the Grade One race, which is widely regarded as one of the feature chase events of the entire National Hunt season. Seamus Durack has fond memories of the Betfair Chase, as he rode Snoopy Loopy to a shock 33/1 success in the 2008 renewal, as the Peter Bowen-trained raider beat the likes of Kauto Star and Exotic Dancer in the Grade One event. 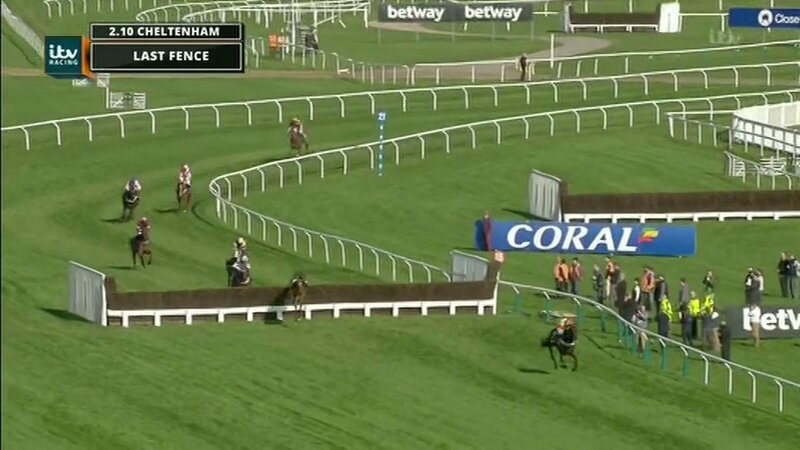 Durack told www.jumpsracing.co.uk, "We went in with an each-way chance, as Kauto Star was the obvious big name going into the race, but they went very slow in the race, and Snoopy Loopy was a horse with a hell of an engine." Approaching the final fence, Snoopy Loopy was a couple of lengths off the lead, as Tamarinbleu and Kauto Star jumped the last together, but the latter catapulted Sam Thomas out the side door, and Tamarinbleu was left on his own in front, but Durack seized the opportunity to reel in David Pipe's charge. Durack said: "Once we jumped the last I thought we had a chance, but it wasn't until the last 50 yards that we got our nose in front, and being a Grade One, it has to be one of the biggest wins in the saddle."